Shady gardens are typically hard spots to landscape, especially if you want anything with bright colored leaves. Golden Rule St John's Wort (Hypericum calycinum 'NCHCI' USPP 25,941) solves that problem and many others! 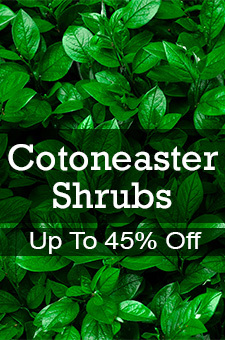 This is an excellent groundcover subshrub for shady areas. With orange new growth that turns a beautfil shade of yellow, it's like fall foliage all season long. Combine that with yellow flowers in the summer and you've got a can't-miss shrub! Golden Rule St John's Wort's short, spreading nature is great used as the front of a shady border. You could also let it ramble between other plants in the bed - it gets so thick it will choke out weeds. Though it takes sun, too much will be hard on the leaves and they may burn, so chose your site carefully. 'Golden Rule' is deer and pest resistant, too. Combine that with little need to prune and you've got top-notch shade plant on your hands. This is a great plant for that shady spot in your garden that needs a little lightening up! Order yours today!